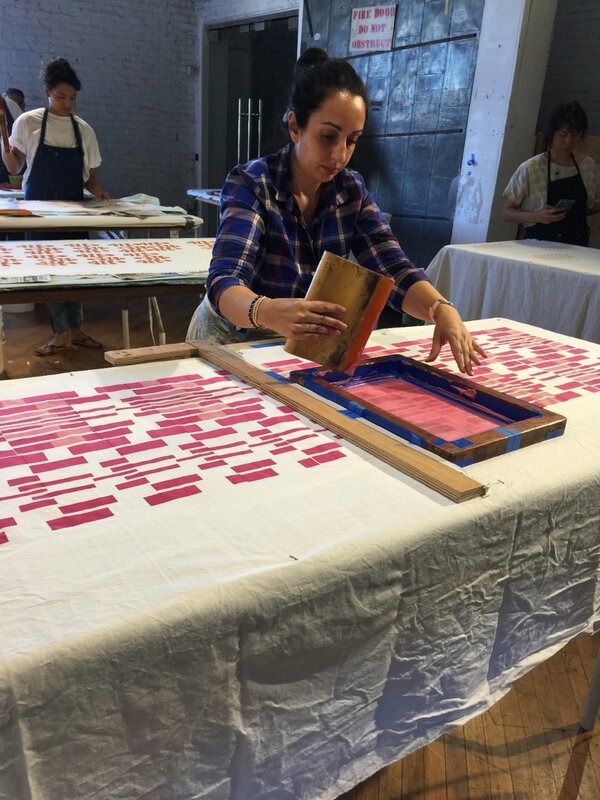 I am partnering with artist and designer Alisa Benfey to teach an Introductory 2 day Screen Printing Workshop. You can link to TextileArtsla.org to sign-up and pay for the class. There is a $25 material fee. and I will send you a link to my PayPal account. 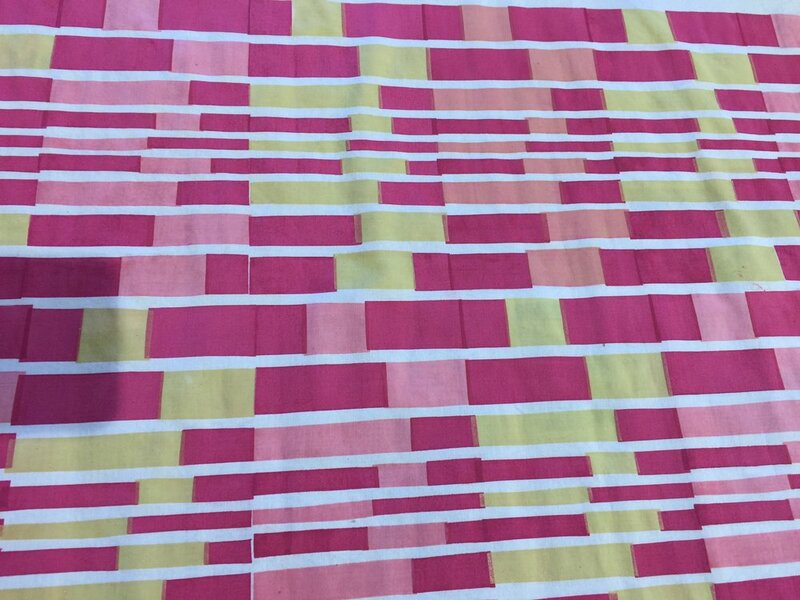 In this Introduction to Screen Printing class, Students will learn how to design, register and print basic repeat patterns on fabric using simple stencil designs cut from plastic sheets. The morning will be spent designing and cutting out several stencils and mixing textile inks. Carrie will demonstrate the registration and printing of a design in a repeat. Students are encouraged to print their designs using the registration system or in an improvisational/random manner. The afternoon will be spent screen printing. Intended Students: Fine artists, designers, painters, printmakers, surface designers and general enthusiasts. There are 10 printing tables available. Skill level: no previous experience necessary. Students will be standing on a concrete floor when printing. Option 2, Sunday 10 -4: if you are interested in continuing your printing further there is an additional fee of $50 for this open studio session. Materials provided: screens, inks, squeegees/spreaders, plastic stencil sheets, several small lengths of cotton fabrics. You may bring your own pre-laundered natural fiber fabrics or clothing as well. Printing tables are 4 ft x 8 ft with some of the 8 ft.table length used for material prep.